The Standing Stone: The Entrance to Tir na nOg, Lough Gur, Co. Limerick. 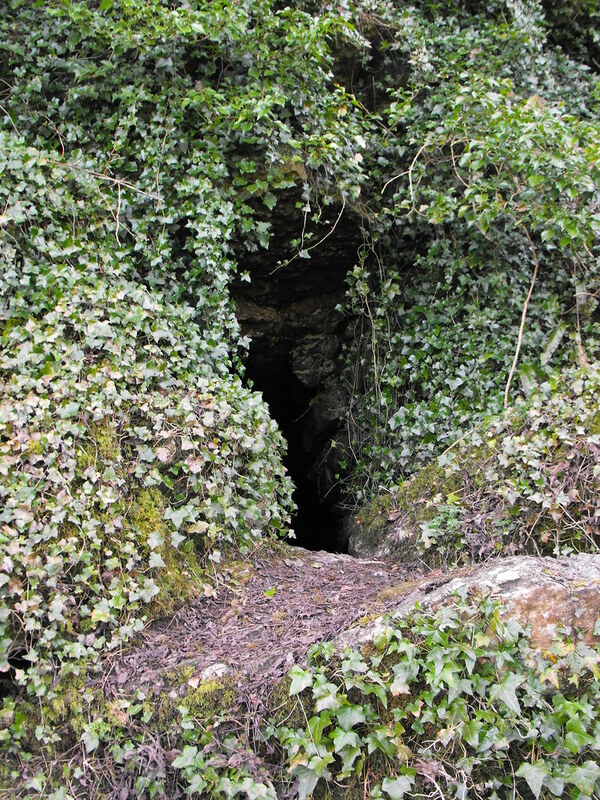 The Entrance to Tir na nOg, Lough Gur, Co. Limerick. Location – This one is a little tricky to find. When you get the car park at the visitors centre follow the path the goes along the shore passed Bolin Island and the dovecote until you get to the gate marked ‘no entry’. From here look into the hedge on your left and you will see a gap in the hedge and a path that goes up hill. It’s up there. Description and History – This site is unusual for this website in that it is a natural feature. I have included it here because of its mythic associations. 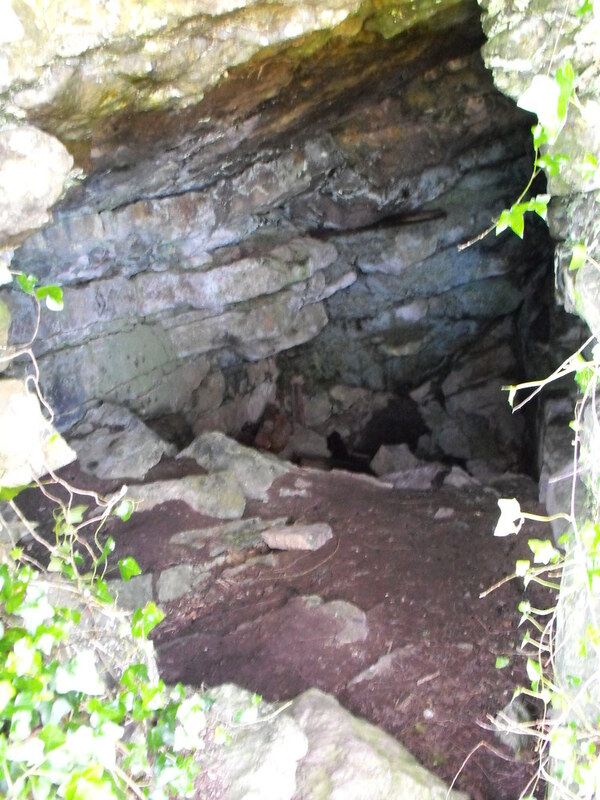 It is said that this cave is the entrance to the Celtic underworld Tir na nOg. Getting to this site is difficult which is unusual because it is very close to the pathway that runs by the shore. It’s a steep climb up to the cave and it is very slippy, particularly after a rainfall and I nearly broke my knees heading up there. 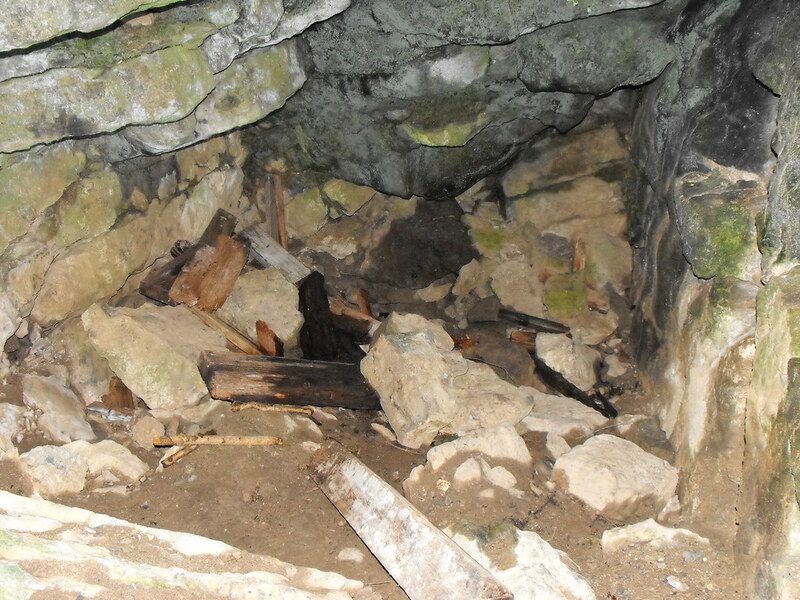 The cave is not very big and only about 4m and high and 5m deep. The entrance seems to have been worked at some point and seems a little square to be natural. Getting down is much harder that getting up there. When I came down I slipped and accidentally grabbed a thorn bush. I hit my knee and ripped open my hand. Then I lost my footing and decided it was easier to let the momentum carry me down and not try to stop so I emerged onto the path in a full sprint much to the bemusement of the many people walking along the path. I must have looked a sight with the bloody hand, ripped jeans and limp. Needless to say, be careful going up there. Difficulty – As I’ve already described it’s pretty tricky getting up and down from here. For more sites in and around Lough Gur, click here.